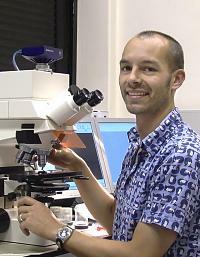 Dr Matthias Landgraf is pleased to consider applications from prospective PhD students. We seek to understand how neural networks are specified and how they assemble during development. The locomotor network of the Drosophila embryo and larva serves as a powerful experimental model. Composed of identified neurons whose connections have been reconstructed, we use genetics, imaging and electrophysiology to study fundamental questions about synapse development, dendritic growth and the regulation of plasticity.